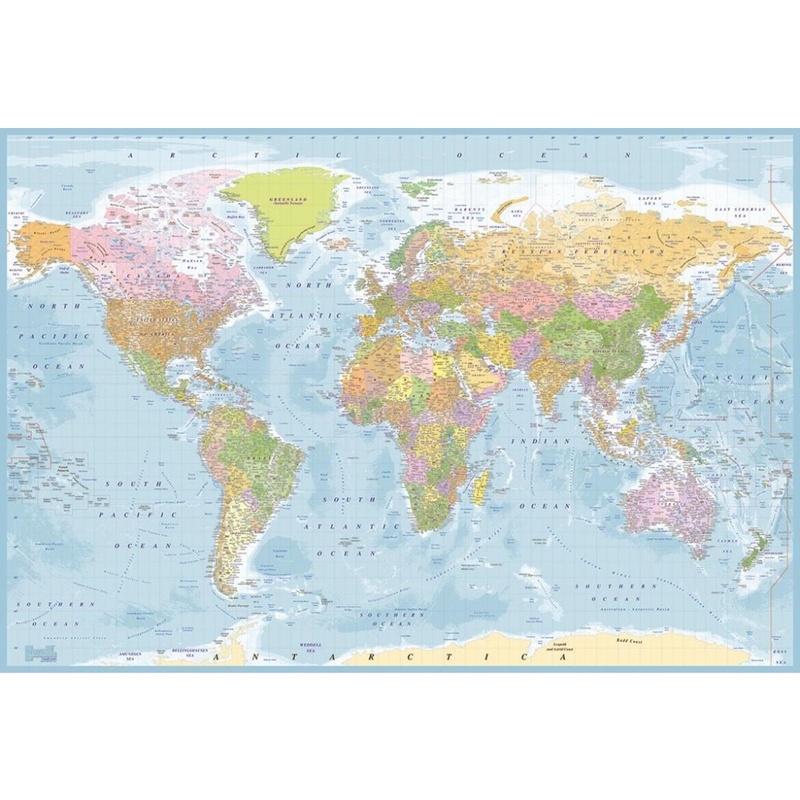 Transform your workspace or home with a up to date blue Political World Map wall mural. The complete on-wall dimensions are 1.58m x 2.32m. The wall mural can be centred on a larger wall or trimmed to fit a smaller wall.